I totally agree, including my kids is also one of my goals. We recently had a crafty day. https://wordpress.com/stats/post/3359/thecrunchysoup.wordpress.com I have blogged in the past about including my kids in cooking. Those Valentines are adorable! 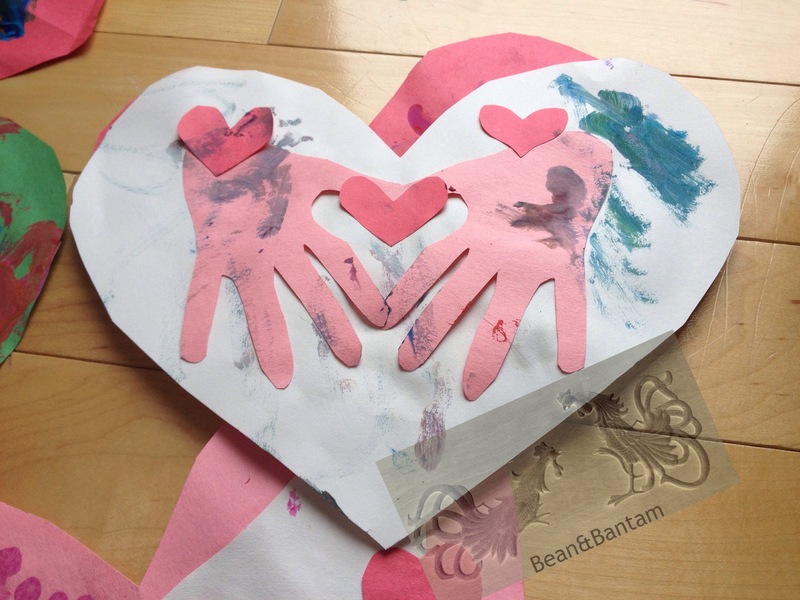 I may have to borrow the hands into a heart idea. I love it! 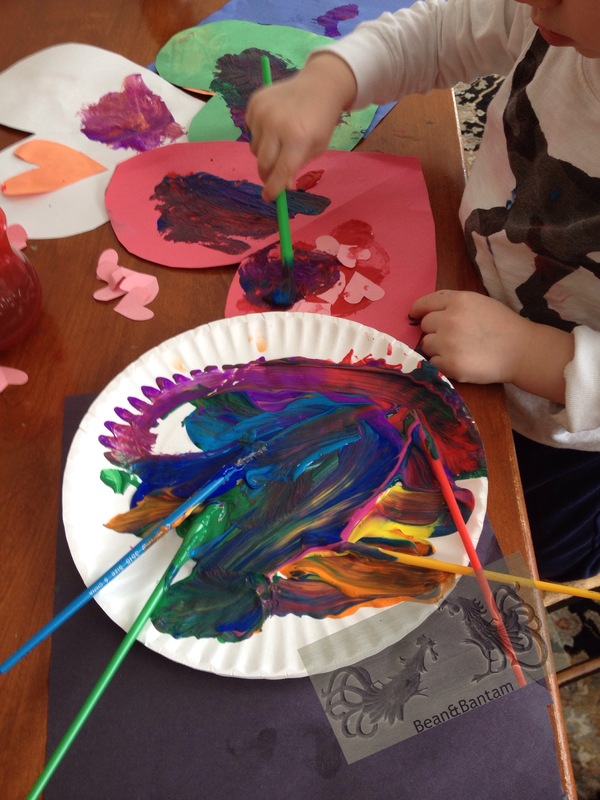 Love your idea about including a feature about toddler learning/creative projects! 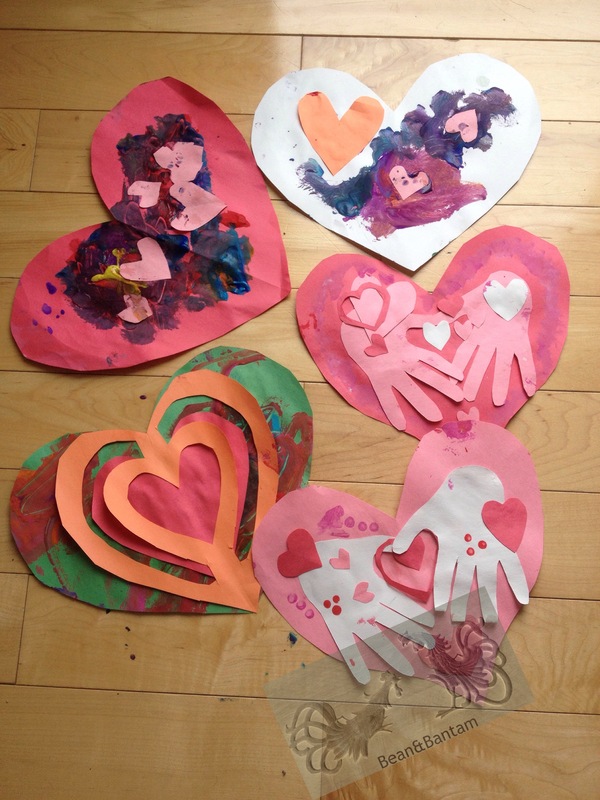 And, these Valentines are so adorable! This kind of fun is priceless–that’s how memories are made. The motif of a heart made by connecting the thumb and second finger of each hand is so wonderful. It reminds me of your photo of flamingoes–would love to see you post it! Yes, it definitely can be challenging, and sometimes more work than if we just did it ourselves. For example, we have our son help make pancakes: we pre-measure the amount of flour, then give him the cup of flour and ask him to dump it in the bowl. We ask for help stirring, but there’s pre-planning in the measuring, and in having all ingredients and the kitchen sink close at hand before we start so that we can stay next to him and always have an eye out for what he can help with and what he needs to be steered away from… easier and faster to do go it alone, but we want him to enjoy learning and enjoy actually doing things rather than having all done for him. 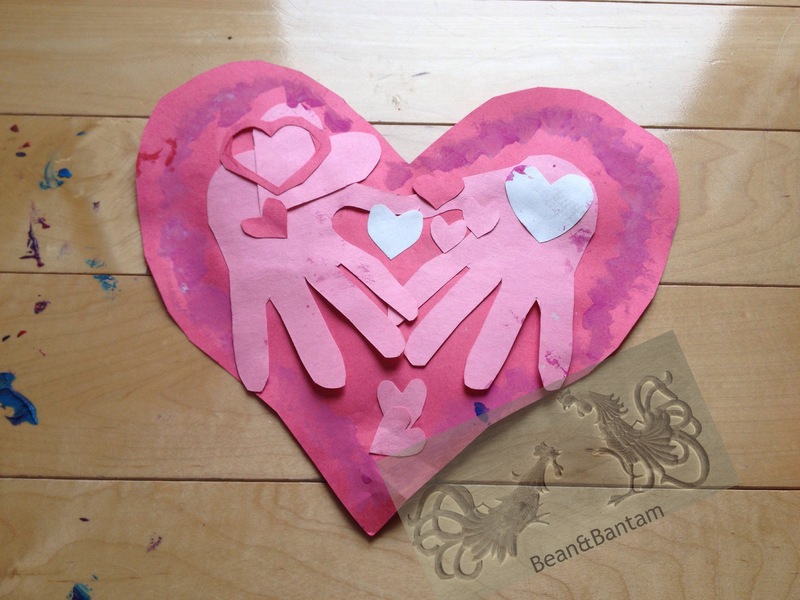 I did a post about some great valentine craft ideas that I had found among blogs I check. I see that you did receive a pingback and I hope people who read my blog will check out your idea. Thank you for the mention, love the list you made!